Kick off your visit on the 5th (Mon): explore the world behind art at Los Angeles County Museum of Art and then see the interesting displays at The Grammy Museum. 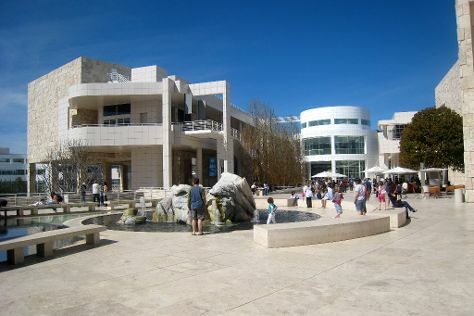 To see other places to visit, photos, and more tourist information, refer to the Los Angeles trip planner. Rome, Italy to Los Angeles is an approximately 15-hour flight. You can also do a combination of train and flight. The time zone difference moving from Central European Time to Pacific Standard Time is minus 9 hours. When traveling from Rome in August, plan for slightly colder days and about the same nights in Los Angeles: temperatures range from 34°C by day to 22°C at night. Wrap up your sightseeing on the 6th (Tue) to allow time to travel to Yosemite National Park. Start off your visit on the 7th (Wed): make a trip to Olmsted Point, tour the pleasant surroundings at Tuolumne Meadows, then trek along Panorama Trail, and finally explore the striking landscape at Glacier Point. 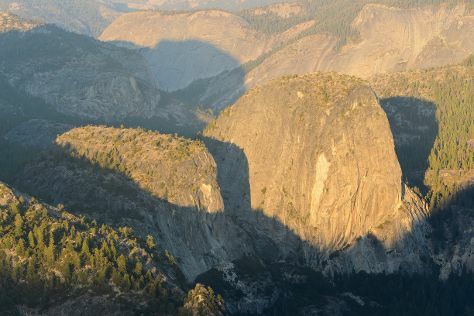 On the 8th (Thu), you'll have a packed day of sightseeing: don't miss a visit to Yosemite Conservation Heritage Center, explore the striking landscape at Taft Point, take in the dramatic natural features at Sentinel Dome, then take in the dramatic scenery at Vernal Fall, and finally explore the striking landscape at El Capitan. To see other places to visit, maps, photos, and tourist information, read Yosemite National Park itinerary planner. You can do a combination of flight and car from Los Angeles to Yosemite National Park in 4.5 hours. Other options are to drive; or do a combination of flight and bus. Traveling from Los Angeles in August, expect cooler with lows of 7°C in Yosemite National Park. Cap off your sightseeing on the 8th (Thu) early enough to go by car to San Francisco. Start off your visit on the 9th (Fri): snap pictures at Golden Gate Bridge, take a leisurely stroll along Fisherman's Wharf, then take a tour of USS Pampanito, then see the interesting displays at Musee Mecanique, and finally steep yourself in history at Alcatraz Island. Get ready for a full day of sightseeing on the next day: get curious at Exploratorium, then take a stroll through SoMa, and then take your sightseeing to a higher altitude at Twin Peaks. For maps, traveler tips, reviews, and tourist information, read our San Francisco route planner. Traveling by car from Yosemite National Park to San Francisco takes 4 hours. Alternatively, you can do a combination of car and flight; or do a combination of bus and flight. When traveling from Yosemite National Park in August, plan for slightly colder days and somewhat warmer nights in San Francisco: temperatures range from 26°C by day to 17°C at night. Finish up your sightseeing early on the 10th (Sat) so you can travel to Seattle. Kick off your visit on the 11th (Sun): see the interesting displays at The Museum of Flight, admire the masterpieces at Chihuly Garden and Glass, take in panoramic vistas at Space Needle, then view the masterpieces at Glasshouse Studio, and finally shop like a local with Pike Place Market. To find maps, traveler tips, other places to visit, and tourist information, go to the Seattle trip planner. Traveling by flight from San Francisco to Seattle takes 4.5 hours. Alternatively, you can do a combination of train and flight; or drive. When traveling from San Francisco in August, plan for a bit warmer days in Seattle, with highs around 31°C, while nights are about the same with lows around 19°C. Finish your sightseeing early on the 11th (Sun) so you can travel to Yellowstone National Park. Kick off your visit on the 12th (Mon): witness a stunning natural landmark at Castle Geyser, witness a stunning natural landmark at Old Faithful, then take in the natural beauty of Grand Prismatic Spring, and finally take in breathtaking views at Grand Canyon of the Yellowstone. 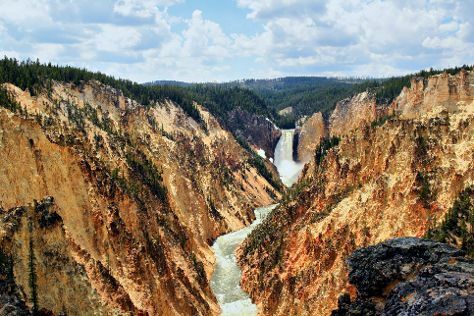 Here are some ideas for day two: explore the striking landscape of Yellowstone National Park. For photos, ratings, and more tourist information, use the Yellowstone National Park attractions planning tool . You can do a combination of flight and car from Seattle to Yellowstone National Park in 5.5 hours. Alternatively, you can do a combination of flight, shuttle, and bus; or drive. The time zone changes from Pacific Standard Time (PST) to Mountain Standard Time (MST), which is usually a 1 hour difference. When traveling from Seattle in August, plan for little chillier days and colder nights in Yellowstone National Park: temperatures range from 24°C by day to 3°C at night. Finish your sightseeing early on the 13th (Tue) so you can travel to Washington DC. Start off your visit on the 14th (Wed): explore the world behind art at National Gallery of Art, examine the collection at National Air and Space Museum, then see the interesting displays at United States Holocaust Memorial Museum, and finally get to know the fascinating history of Tomb of the Unknowns. On your second day here, contemplate in the serene atmosphere at Washington National Cathedral, learn more about the world around you at Smithsonian National Museum of Natural History, see the interesting displays at The National Archives Museum, then brush up on your military savvy at National Museum of the Marine Corps, and finally pause for some photo ops at Vietnam Veterans Memorial. To find other places to visit, more things to do, and other tourist information, you can read our Washington DC trip planner . You can do a combination of car and flight from Yellowstone National Park to Washington DC in 9.5 hours. Alternatively, you can do a combination of car, shuttle, and flight; or drive. You'll lose 2 hours traveling from Yellowstone National Park to Washington DC due to the time zone difference. Expect somewhat warmer weather when traveling from Yellowstone National Park in August: highs in Washington DC hover around 36°C, while lows dip to 25°C. Wrap up your sightseeing on the 15th (Thu) to allow time to travel to New York City. Kick off your visit on the 16th (Fri): make a trip to Rockefeller Center, then explore the world behind art at The Museum of Modern Art (MoMA), then learn more about the world around you at American Museum of Natural History, and finally contemplate in the serene atmosphere at St. Paul's Chapel. On the next day, admire the striking features of Grand Central Terminal, then take in the architecture and atmosphere at St. Patrick's Cathedral, then examine the collection at New York Public Library, and finally contemplate the long history of Ellis Island. To find maps, more things to do, traveler tips, and other tourist information, use the New York City trip app . Traveling by flight from Washington DC to New York City takes 3.5 hours. Alternatively, you can take a train; or drive. Expect a daytime high around 34°C in August, and nighttime lows around 25°C. Wrap up your sightseeing on the 17th (Sat) early enough to travel to New York City. On the 18th (Sun), explore the world behind art at The Metropolitan Museum of Art and then go for a walk through Central Park. Get ready for a full day of sightseeing on the 19th (Mon): wander the streets of Times Square, admire the landmark architecture of Empire State Building, make a trip to Statue of Liberty National Monument, then pause for some photo ops at 9/11 Memorial, and finally snap pictures at Brooklyn Bridge. To see more things to do, reviews, maps, and other tourist information, read our New York City day trip planning app . Wrap up your sightseeing on the 19th (Mon) to allow time to travel back home.